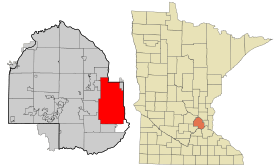 This page is about the city in Minnesota. For other uses, see Minneapolis (disambiguation). Clockwise from Top Left: Downtown Minneapolis at night, U.S. Bank Stadium, the skyline from Lake Nokomis, Minneapolis skyline and Minnehaha Falls. 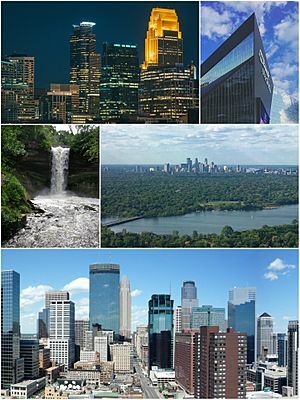 Minneapolis ( i/ˌmɪniˈæpəlɪs/) is the county seat of Hennepin County, and the larger of the Twin Cities, the 16th-largest metropolitan area in the United States. As of 2015, Minneapolis is the largest city in the state of Minnesota and 46th-largest in the United States with a population of 410,939. Minneapolis and Saint Paul anchor the second-largest economic center in the Midwest, after Chicago. 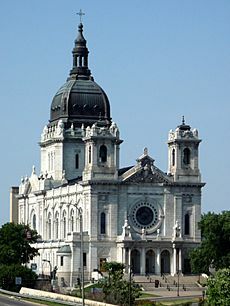 Minneapolis lies on both banks of the Mississippi River, just north of the river's confluence with the Minnesota River, and adjoins Saint Paul, the state's capital. The city is abundantly rich in water, with thirteen lakes, wetlands, the Mississippi River, creeks and waterfalls, many connected by parkways in the Chain of Lakes and the Grand Rounds National Scenic Byway. It was once the world's flour milling capital and a hub for timber. The city and surrounding region is the primary business center between Chicago and Seattle, with Minneapolis proper containing America's fifth-highest concentration of Fortune 500 companies. As an integral link to the global economy, Minneapolis is categorized as a global city. Noted for its strong music and performing arts scenes, Minneapolis is home to both the award-winning Guthrie Theater and the historic First Avenue nightclub. Reflecting the region's status as an epicenter of folk, funk, and alternative rock music, the city served as the launching pad for several of the 20th century's most influential musicians, including Bob Dylan and Prince. The name Minneapolis is attributed to Charles Hoag, the city's first schoolteacher, who combined mni, a Dakota Sioux word for water, and polis, the Greek word for city. 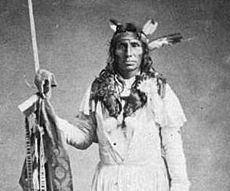 Taoyateduta was among the 121 Sioux leaders who from 1837 to 1851 ceded the land where Minneapolis developed. Dakota Sioux had long been the region's sole residents when French explorers arrived around 1680. For a time relations were based on fur trading. Gradually more European-American settlers arrived, competing for game and other resources with the Dakota. Minneapolis developed around Saint Anthony Falls, the highest waterfall on the Mississippi River and a source of power for its early industry. Forests in northern Minnesota were a valuable resource for the lumber industry, which operated seventeen sawmills on power from the waterfall. By 1871, the west river bank had twenty-three businesses, including flour mills, woolen mills, iron works, a railroad machine shop, and mills for cotton, paper, sashes, and planing wood. Due to the occupational hazards of milling, six local sources of artificial limbs were competing in the prosthetics business by the 1890s. The farmers of the Great Plains grew grain that was shipped by rail to the city's thirty-four flour mills. Millers have used hydropower elsewhere since the 1st century B.C., but the results in Minneapolis between 1880 and 1930 were so remarkable the city has been described as "the greatest direct-drive waterpower center the world has ever seen." A father of modern milling in America and founder of what became General Mills, Cadwallader C. Washburn converted his business from gristmills to truly revolutionary technology, including "gradual reduction" processing by steel and porcelain roller mills capable of producing premium-quality pure white flour very quickly. 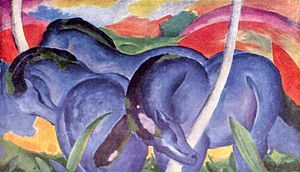 Some ideas were developed by William Dixon Gray and some acquired through industrial espionage from the Hungarians by William de la Barre. Charles A. Pillsbury and C.A. Pillsbury Company across the river were barely a step behind, hiring Washburn employees to immediately use the new methods. The hard red spring wheat that grows in Minnesota became valuable ($.50 profit per barrel in 1871 increased to $4.50 in 1874,) and Minnesota "patent" flour was recognized at the time as the best in the world. 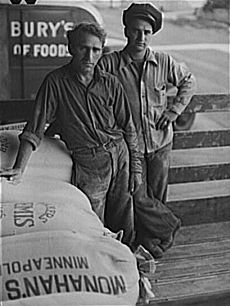 Not until later did consumers discover the value in the bran (which contains wheat's vitamins, minerals and fiber) that "Minneapolis... millers routinely dumped" into the Mississippi. Millers cultivated relationships with academic scientists especially at the University of Minnesota. Those scientists backed them politically on many issues, for example during the early 20th century, when health advocates in the nascent field of nutrition criticized the flour "bleaching" process. At peak production, a single mill at Washburn-Crosby made enough flour for 12 million loaves of bread each day, and by 1900, 14.1 percent of America's grain was milled in Minneapolis. Further, by 1895 through the efforts of silent partner William Hood Dunwoody, Washburn-Crosby exported four million barrels of flour a year to the United Kingdom, and when exports reached their peak in 1900, about one third of all flour milled in Minneapolis was shipped overseas. When the country's fortunes turned during the Great Depression, the violent Teamsters Strike of 1934 resulted in laws acknowledging workers' rights. A lifelong civil rights activist and union supporter, mayor Hubert Humphrey helped the city establish fair employment practices and a human relations council that interceded on behalf of minorities by 1946. In the 1950s, about 1.6% of the population of Minneapolis was nonwhite. Minneapolis contended with white supremacy, participated in desegregation and the African-American civil rights movement, and in 1968 was the birthplace of the American Indian Movement. Minneapolis was a "particularly virulent" site of anti-semitism until 1950. A hate group known as the Silver Legion of America, or Silver Shirts, recruited members in the city and held meetings there around 1936 to 1938. The Jewish Free Employment Bureau tried to help victims of economic discrimination, with limited success. In 1938, the Jewish Community Relations Council of Minnesota and the Dakotas was established to combat rising anti-semitism, fighting against hate-filled leaflets and anti-Jewish remarks, while also attempting to expose discrimination by real estate agents and employers who attempted to subvert anti-discrimination laws. 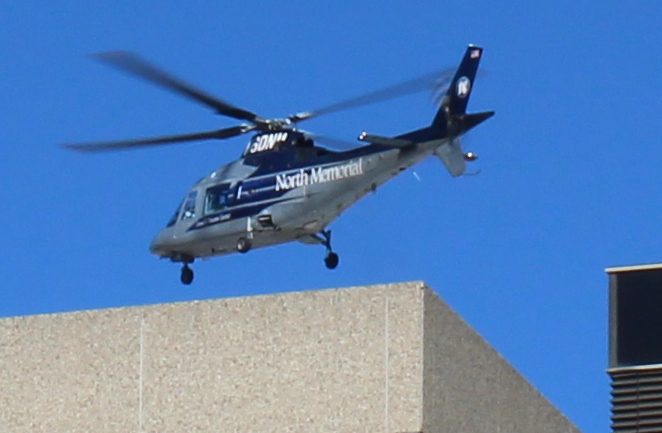 After years of discrimination towards Jewish doctors, the Jewish community raised funds to create the Mount Sinai Hospital, which opened in 1951. It was the first private non-sectarian hospital in the community to accept members of minority races on its medical staff. 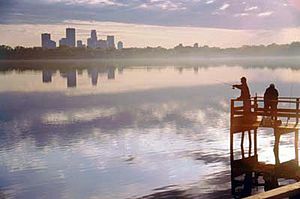 Minneapolis has a hot-summer humid continental climate zone (Dfa in the Köppen climate classification), typical of southern parts of the Upper Midwest, and is situated in USDA plant hardiness zone 4b, on the border of 5a. As is typical in a continental climate, the difference between average temperatures in the coldest winter month and the warmest summer month is great: 60.1 °F (33.4 °C). The city experiences a full range of precipitation and related weather events, including snow, sleet, ice, rain, thunderstorms, and fog. The highest recorded temperature was 108 °F (42 °C) in July 1936 while the lowest was −41 °F (−41 °C) in January 1888. The snowiest winter of record was 1983–84, when 8.2 feet or 98.4 inches (250 cm) of snow fell, and the least snowy winter was 1890-91, when only 11.1 inches (28 cm) fell. White Americans make up about three-fifths of Minneapolis's population. This community is predominantly of German and Scandinavian descent. There are 82,870 German Americans in the city, making up over one-fifth (23.1%) of the population. The Scandinavian-American population is primarily Norwegian and Swedish. 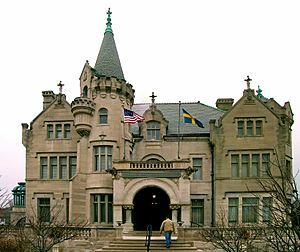 There are 39,103 Norwegian Americans, making up 10.9% of the population; there are 30,349 Swedish Americans, making up 8.5% of the city's population. Danish Americans are not nearly as numerous; there are 4,434 Danish Americans, making up only 1.3% of the population. Norwegian, Swedish, and Danish Americans together make up 20.7% of the population. This means that ethnic Germans and Scandinavians together make up 43.8% of Minneapolis's population, and make up the majority of Minneapolis's non-Hispanic white population. Other significant European groups in the city include those of Irish (11.3%), English (7.0%), Polish (3.9%), French (3.5%) and Italian (2.3%) descent. There are 10,711 individuals who identify as multiracial in Minneapolis. People of black and white ancestry number at 3,551, and make up 1.0% of the population. People of white and Native American ancestry number at 2,319, and make up 0.6% of the population. Those of white and Asian ancestry number at 1,871, and make up 0.5% of the population. Lastly, people of black and Native American ancestry number at 885, and make up 0.2% of Minneapolis's population. U.S. Census Bureau estimates in the year 2015 show the population of Minneapolis to be 410,939, a 7.4% increase since the 2010 census. The population grew until 1950 when the census peaked at 521,718, and then declined as people moved to the suburbs until about 1990. 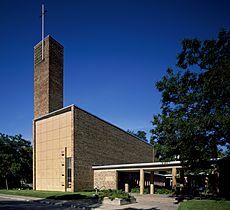 According to a 2014 study by the Pew Research Center, 70% of the population of the city identified themselves as Christians, with 46% professing attendance at a variety of churches that could be considered Protestant, and 21% professing Roman Catholic beliefs while 23% claim no religious affiliation. The same study says that other religions (including Judaism, Buddhism, Islam, and Hinduism) collectively make up about 5% of the population. 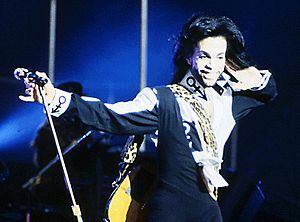 The son of a jazz musician and a singer, Prince was born in Minneapolis, lived in the area most of his life, and became Rolling Stone's 27th greatest artist of the rock era. 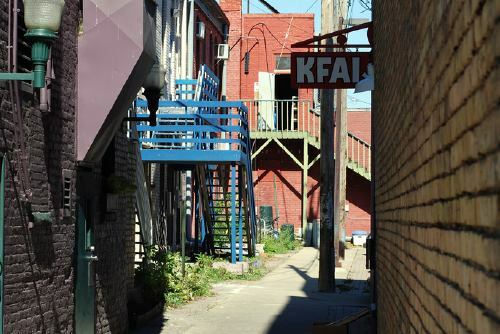 With fellow local musicians, many of whom recorded at Twin/Tone Records, he helped make First Avenue and the 7th Street Entry prominent venues for both artists and audiences. 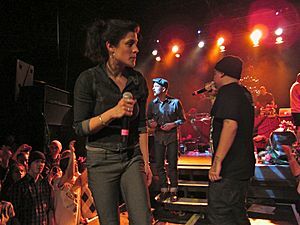 Other prominent artists from Minneapolis include Hüsker Dü and The Replacements—who were pivotal in the U.S. alternative rock boom during the 1990s. The Replacements' frontman, Paul Westerberg, developed a successful solo career, as did Hüsker Dü's Bob Mould. 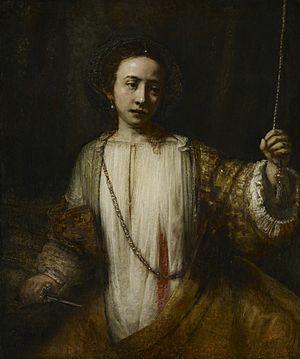 The Minnesota Orchestra plays classical and popular music at Orchestra Hall under music director Osmo Vänskä—a critic writing for The New Yorker in 2010 described it as "the greatest orchestra in the world." In 2013, the orchestra received a Grammy nomination for its recording of "Sibelius: Symphonies Nos. 2 & 5" and it won a Grammy Award in 2014 for "Sibelius: Symphonies Nos 1 & 4". Vänskä departed in 2013 when a labor dispute remained unresolved and forced the cancellation of concerts scheduled for Carnegie Hall. After a 15-month lockout, a contract settlement resulted in the return of the performers, including Vänskä, to Orchestra Hall in January 2014. Every year, the American Refugee Committee helps people in Asili-Democratic Republic of Congo, Jordan, Myanmar, Pakistan, Rwanda, Somalia, South Sudan, Sudan, Syria, Thailand, and Uganda. Philanthropy and charitable giving are part of the community. More than 40% of adults in the Minneapolis–Saint Paul area give time to volunteer work, the highest such percentage of any large metropolitan area in the United States. Catholic Charities USA is one of the largest providers of social services locally. The American Refugee Committee helps 2.5 million refugees and displaced persons in ten countries in Africa and Asia each year. In 2011, Target Corporation was #42 in a list of the best 100 corporate citizens in CR magazine for corporate responsibility officers. The oldest foundation in Minnesota, the Minneapolis Foundation invests and administers over nine hundred charitable funds and connects donors to nonprofit organizations. The metropolitan area gives 13% of its total charitable donations to the arts and culture. The majority of the estimated $1 billion recent expansion of arts facilities was contributed privately. Minneapolis is home to award-winning restaurants and chefs. As of 2016, four Minneapolis-based chefs have won James Beard Foundation Awards: Alexander Roberts, Restaurant Alma; Isaac Becker, 112 Eatery; Paul Bergland, Bachelor Farmer; and Tim McKee, La Belle Vie. In 2014, seven chefs and restaurants in the area were named as semifinalists. Julia Moskin wrote about New Nordic cuisine, chef Paul Berglund and the Bachelor Farmer, and the restaurants La Loma, Tilia, the Red Stag Supper Club, Fika and Haute Dish in The New York Times in 2012. She said Minneapolis chefs served trendy Nordic ingredients like root vegetables, fish roe, wild greens, venison, dried mushrooms, seaweed and cow's milk. Two months later, Bon Appétit featured the Bachelor Farmer, Piccolo, Saffron, Salty Tart, and Smack Shack/1029 Bar, writing about New Nordic cuisine and the Scandinavian heritage of Minneapolis. In 2012 Food & Wine magazine named Minneapolis the nation's best and best-priced new food city. In 2015, profiling chef Gavin Kaysen and Spoon and Stable, Saveur named Minneapolis "the next great American food city." Then, Food & Wine voted Spoon and Stable one of five 2015 restaurants of the year. USA Today's reader's choice 10 Best decided that Minneapolis–Saint Paul was the Best Local Food Scene in 2015. Four fine dining restaurants closed during 2015 and 2016: La Belle Vie, Vincent, Brasserie Zentral, and Saffron. Food & Wine named Brewer's Table at Surly Brewing one of its ten 2016 restaurants of the year. Also in 2016, Food & Wine named Eat Street Social, Constantine, and Coup d'État three of the best cocktail bars in the U.S. 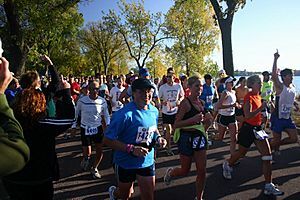 The American College of Sports Medicine ranked Minneapolis and its metropolitan area the nation's first, second, or third "fittest city" every year from 2008 to 2016, ranking it first from 2011 to 2013. In other sports, five golf courses are located within the city, with the nationally ranked Hazeltine National Golf Club and Interlachen Country Club in nearby suburbs. Minneapolis is home to more golfers per capita than any other major U.S. city. 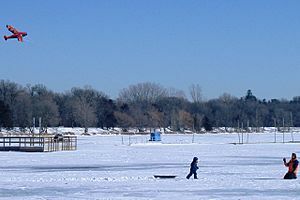 The state of Minnesota has the nation's highest number of bicyclists, sport fishermen, and snow skiers per capita. Hennepin County has the second-highest number of horses per capita in the U.S. While living in Minneapolis, Scott and Brennan Olson founded (and later sold) Rollerblade, the company that popularized the sport of inline skating. Minneapolis Facts for Kids. Kiddle Encyclopedia.